Data was taken from OpenFlights.org on March 24th, 2014. 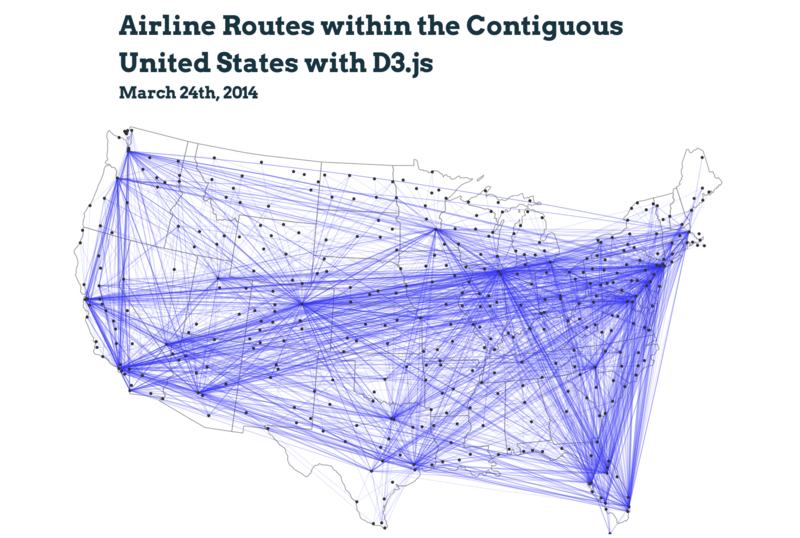 The two files used are routes.dat and airports.dat. The data is well formatted, however its completeness is unknown. This visualization is built with D3.js along with topojson and queue.js. The code is fairly terse and does the following: loads state, airport and route data, creates corresponding svg groups and populates them with path or circle elements as appropriate. Map point locations are calculated using d3.geo.projection and routes are drawn as great arcs.